The Health Ministry has banned the sale of two cosmetic products by Vida Beauty Sdn Bhd which were found to contain high levels of mercury. 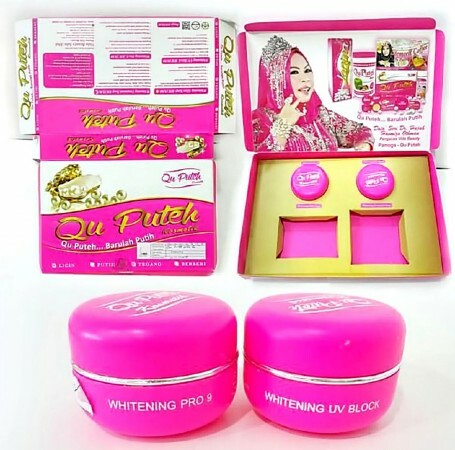 The ministry advised anyone in possession of cosmetic products Qu Puteh Whitening Pro 9 and Qu Puteh Whitening UV Block to immediately stop selling, distributing and using the products. “The National Pharmaceutical Control Bureau (NPCB), Ministry of Health Malaysia had received a report of adverse effects of tinnitus (ringing in the ears) and hair loss from a consumer following the use of cosmetic products Qu Puteh Whitening Pro 9 and Qu Puteh Whitening UV Block for about three months. The conditions resolved after stopping use,” it said. Extracts from an Astro Awani article (original). Published 22 January 2016.